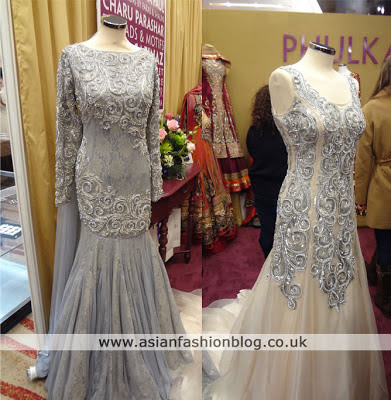 Phulkari London were one of the many fashion exhibitors at the 2013 Asiana Bridal Show and whilst a lot of the other exhibitors had a "no photos" policy, Phulkari were happy for us to take photos of the gorgeous outfits they had on display. Their store in East London boasts an impressive list of Asian fashion designers from India and Pakistan, including Sabyasachi and Satya Paul. 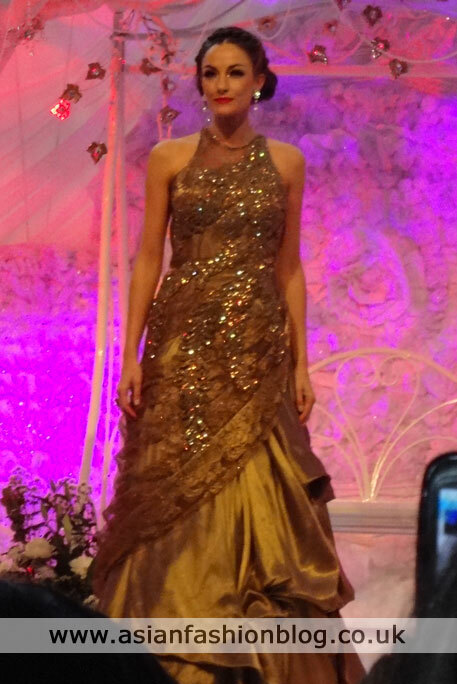 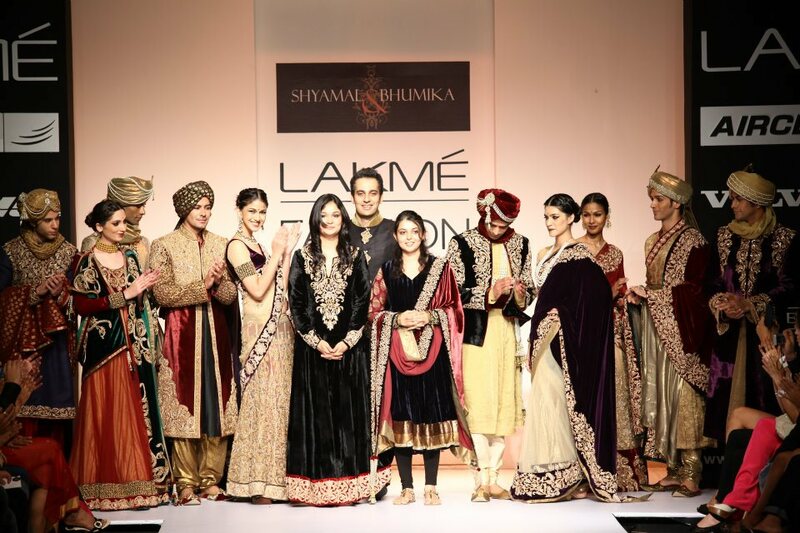 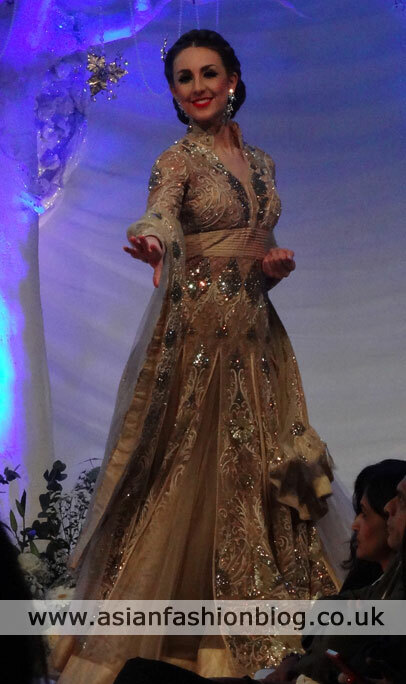 For this event they showcased a new designer they are stocking - Rimple & Harpreet Narula Couture. 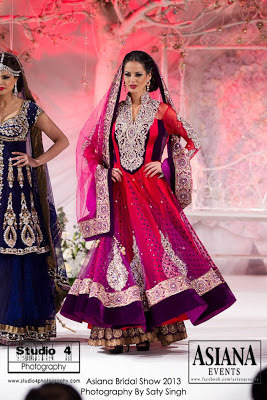 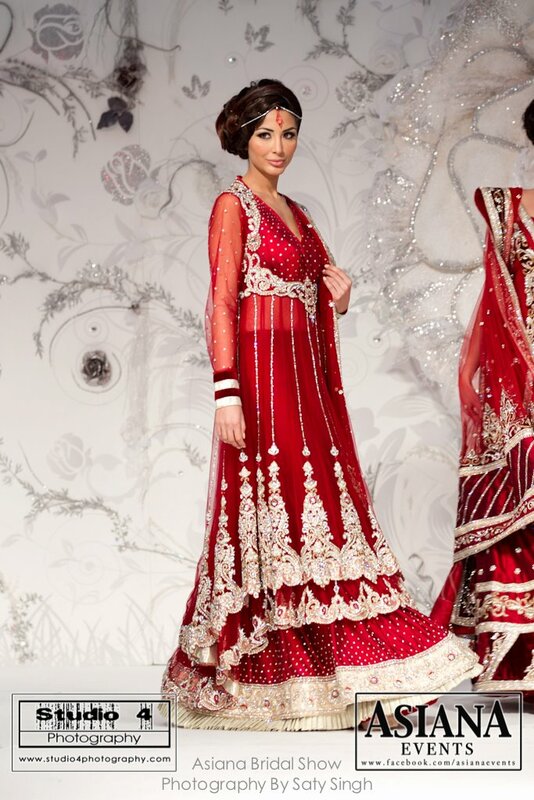 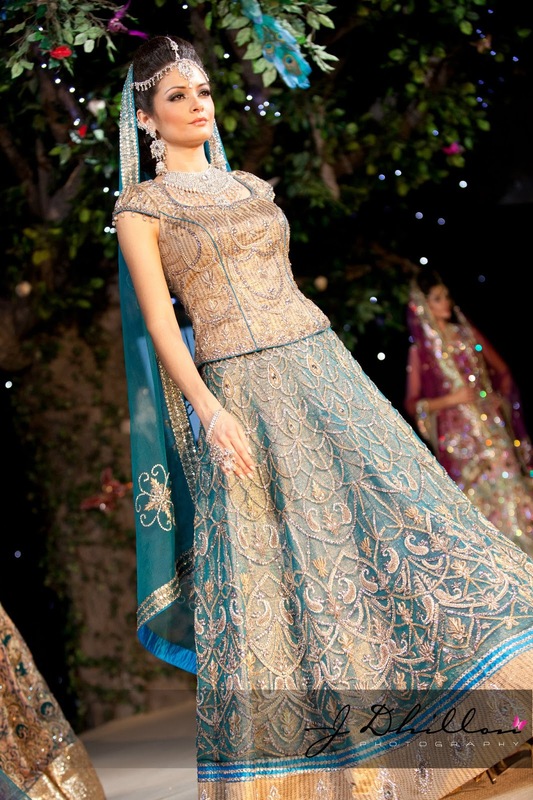 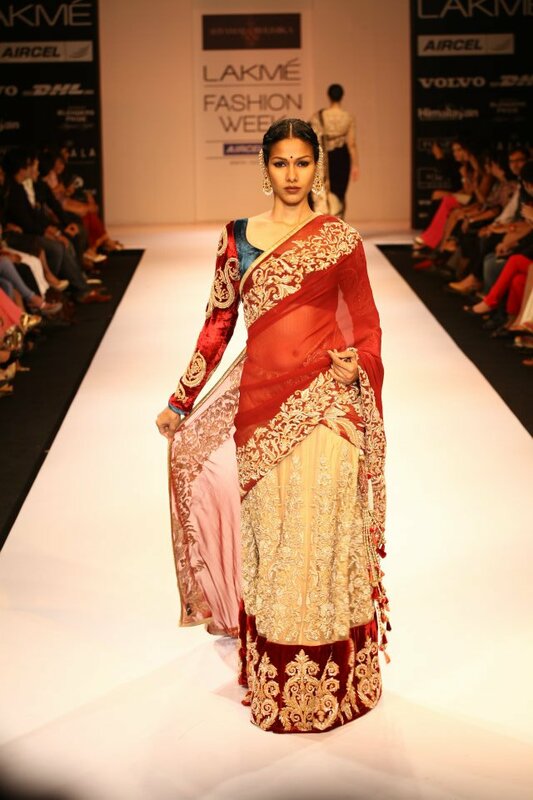 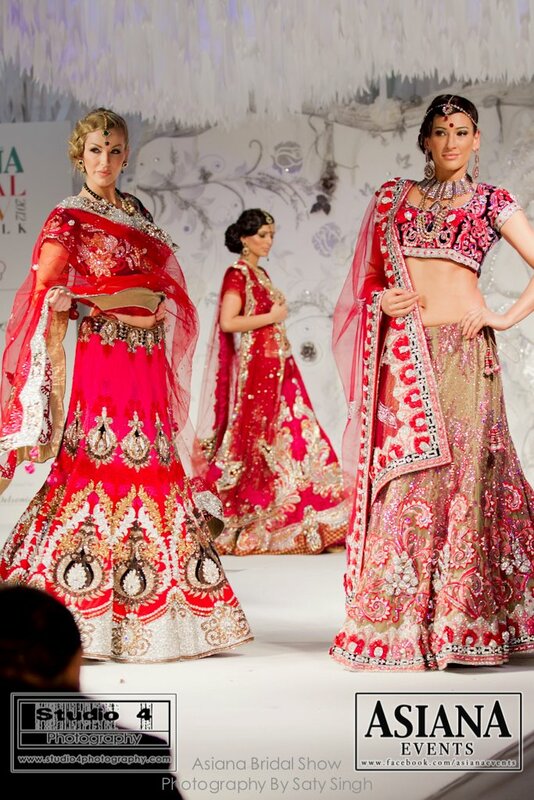 Prices for the outfits from Rimple & Harpreet Narula start at £700 and go up to £2,800. 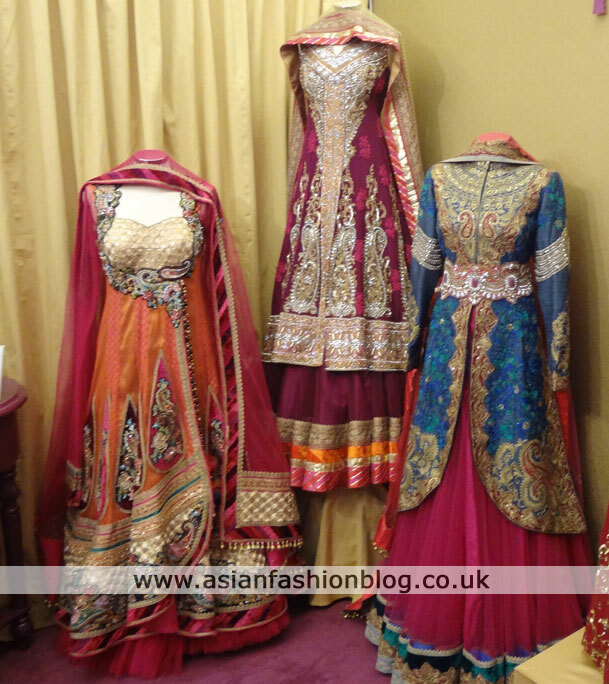 Phulkari have also recently launched their own range of outfits - Phulkari Bespoke. 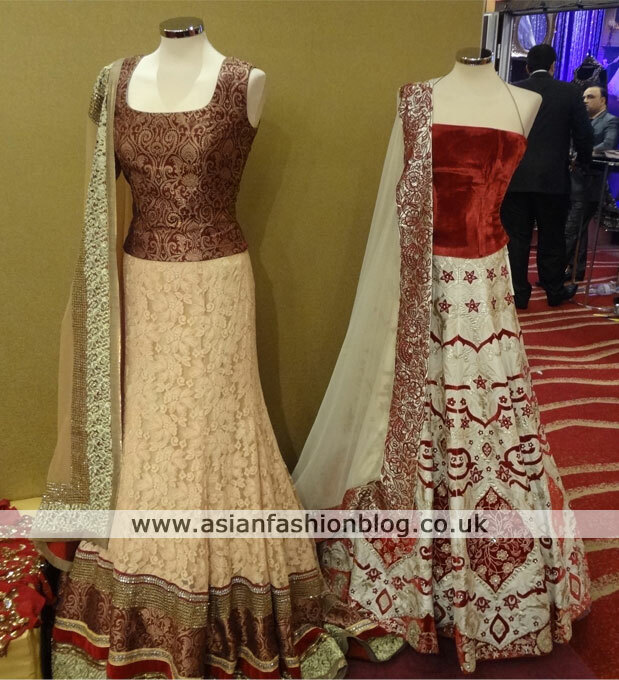 Below are two outfits from their bespoke collection, which ranges from £700 to £1800. 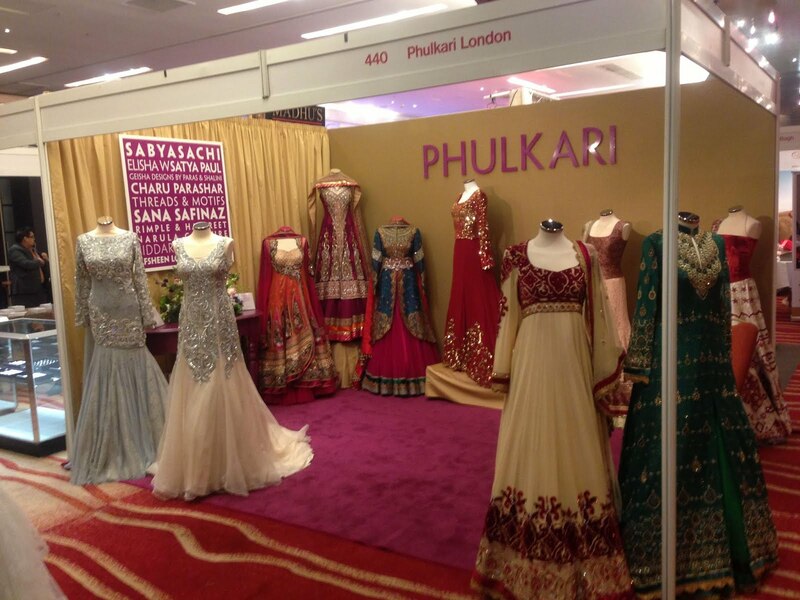 Contact details for Phulkari London can be found on their Facebook page here. 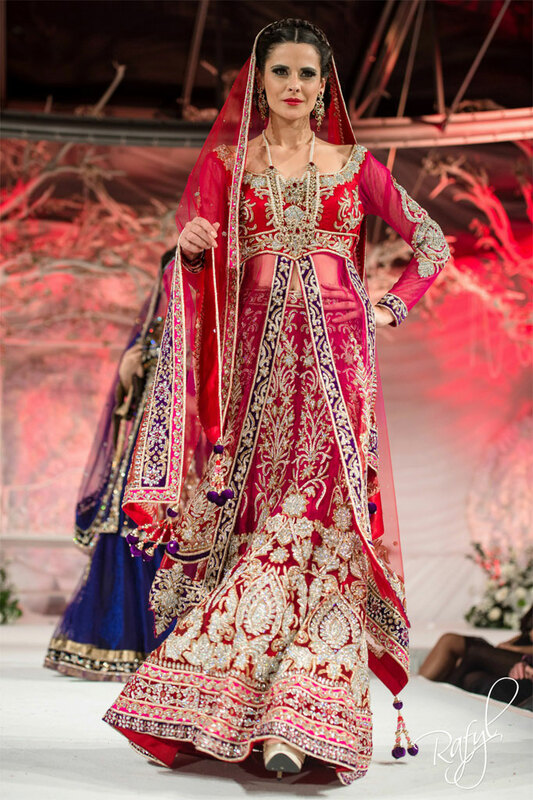 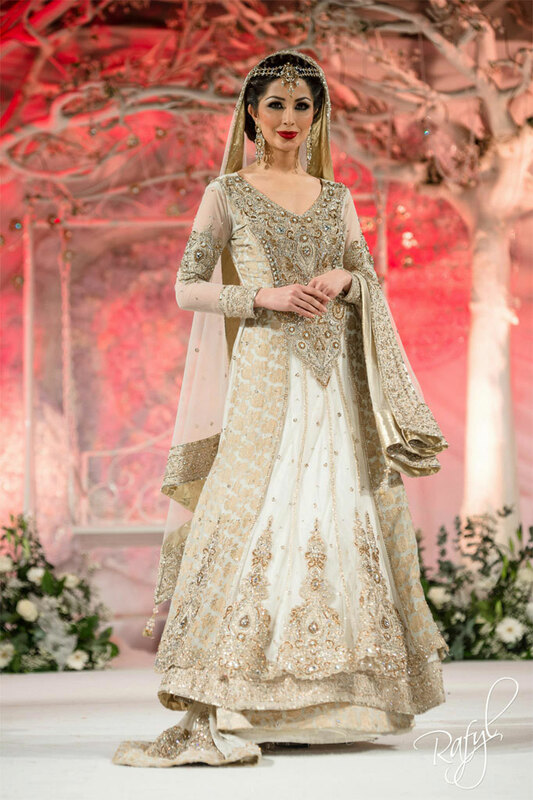 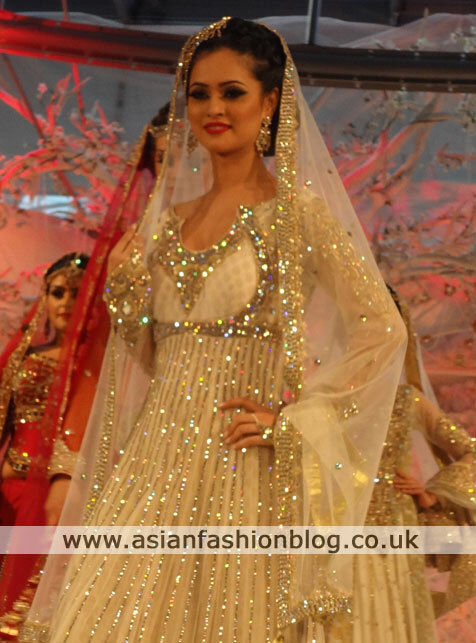 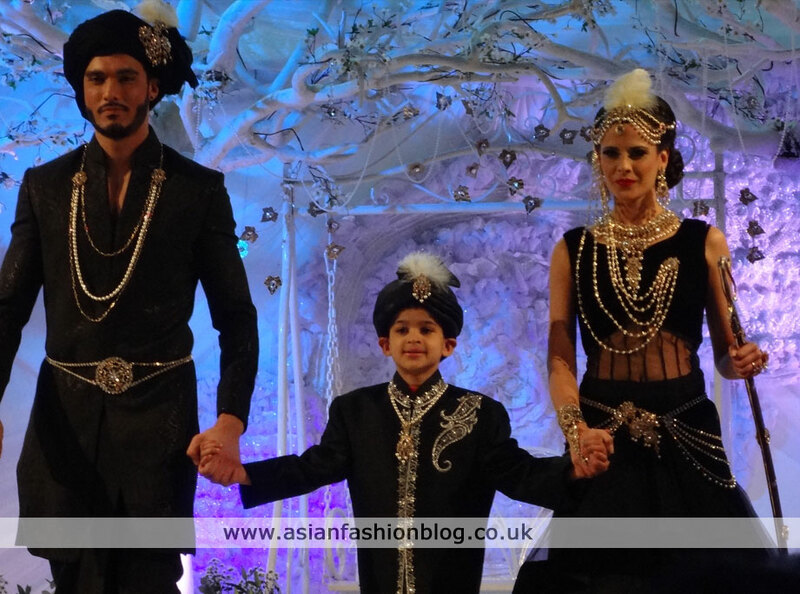 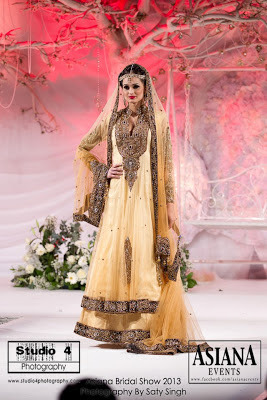 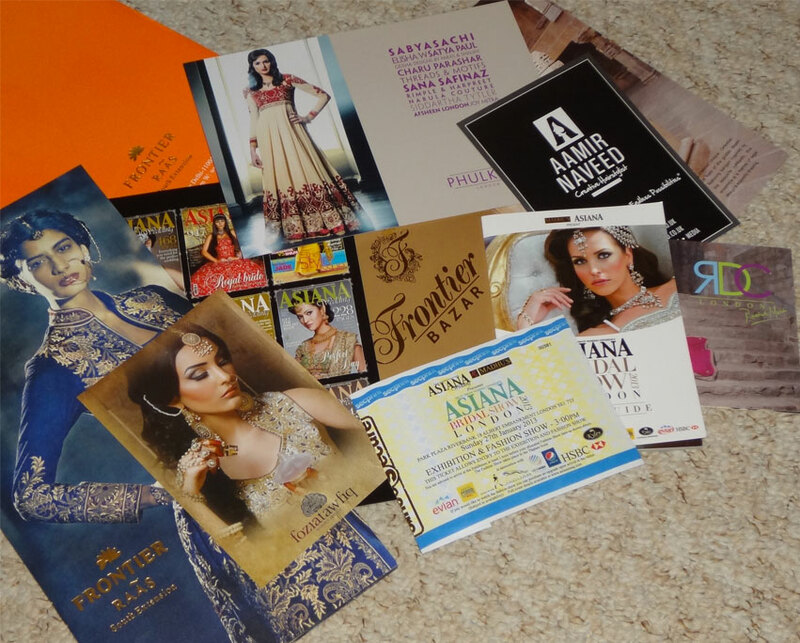 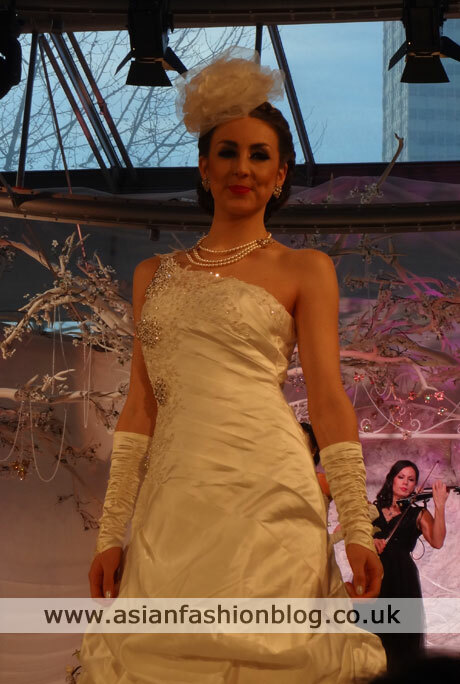 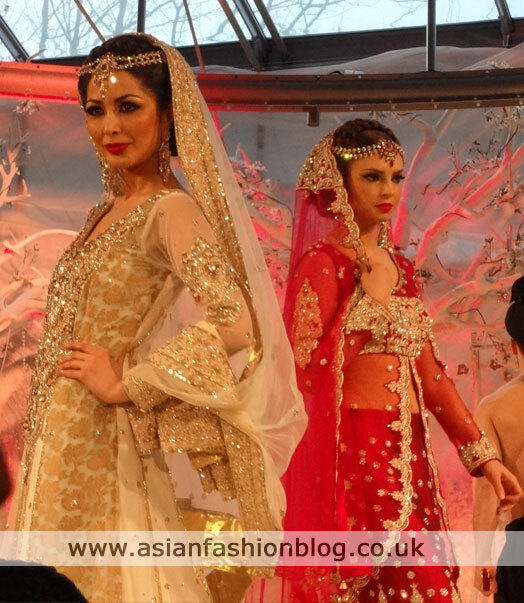 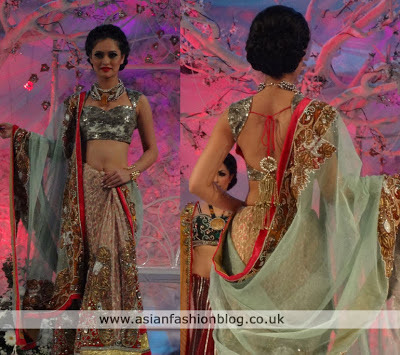 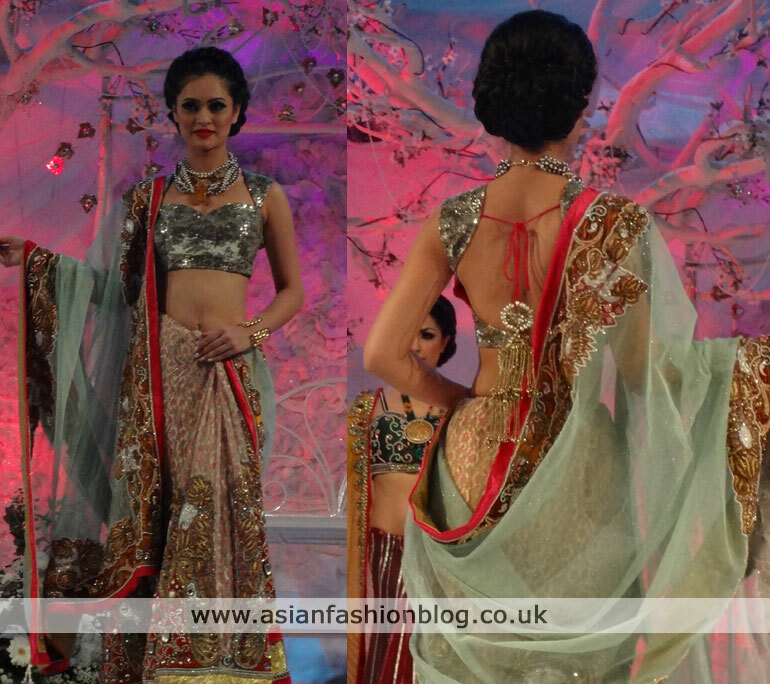 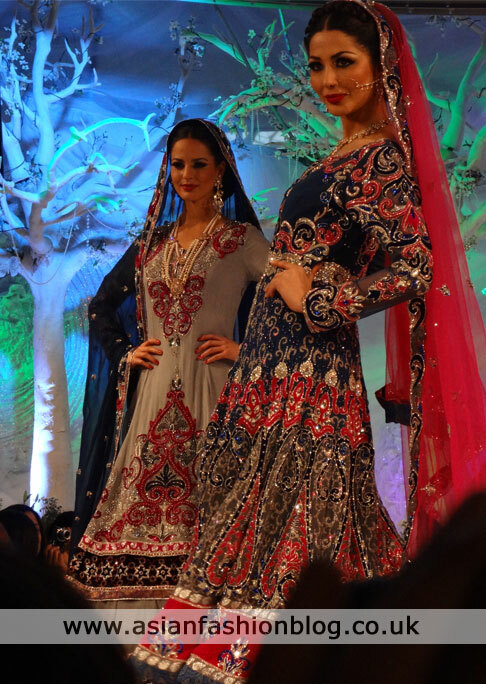 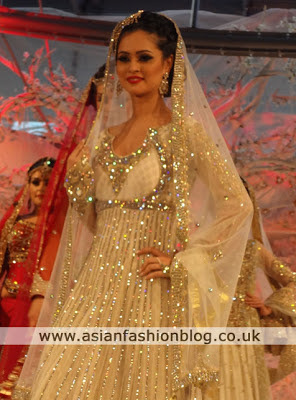 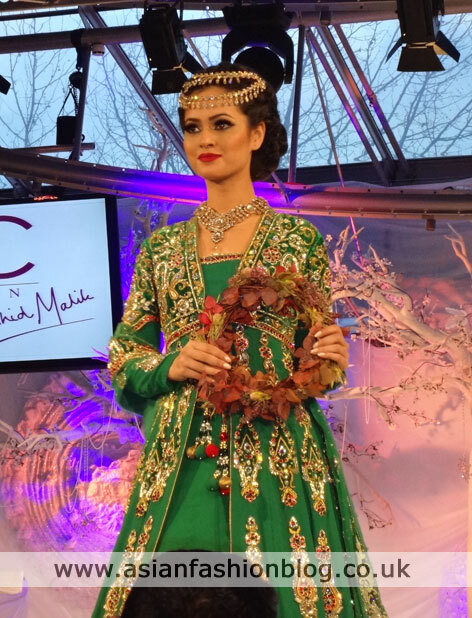 The Asiana Bridal show took place this weekend at the Park Plaza Riverbank in London. 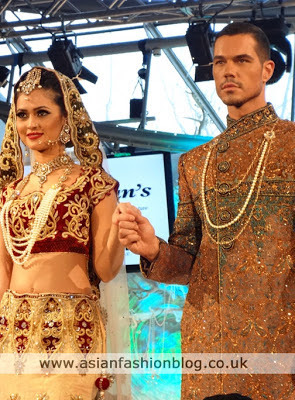 I always make an effort to attend this event as in my opinion it's one of the best asian wedding exhibitions in the UK and the fashion show always provides lots of asian bridal inspiration! 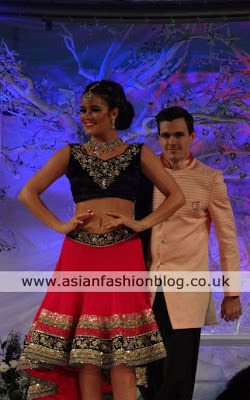 I'll be writing up full blog post reviews on all the fashion from the catwalk show and exhibition, but for now here's a first look at the fashion show (my pictures didn't come out amazingly, but as soon as the professional photographers from the event share their photos I'll be posting them here). 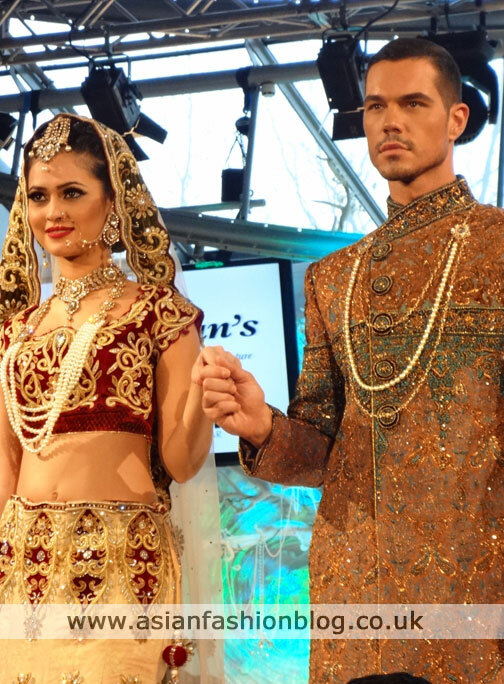 Kyles Collection were sponsors of the fashion show and they started off with a viewing of their new video advert followed by a collection on the catwalk. 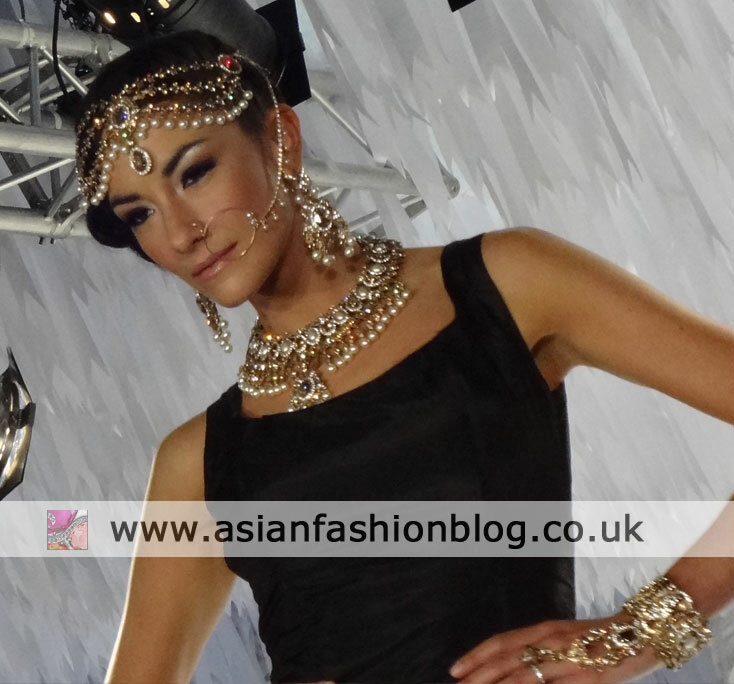 As always with Kyles I loved the headpieces! Next up were East London based RDC who had two segments at the show. 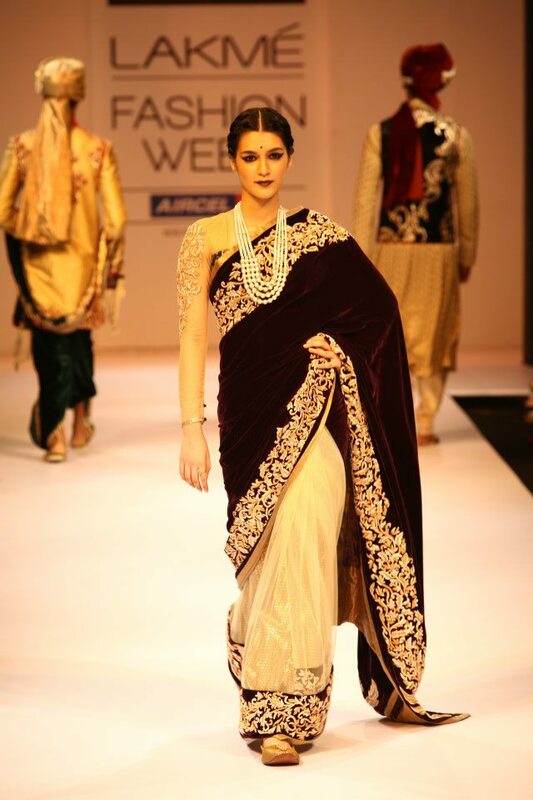 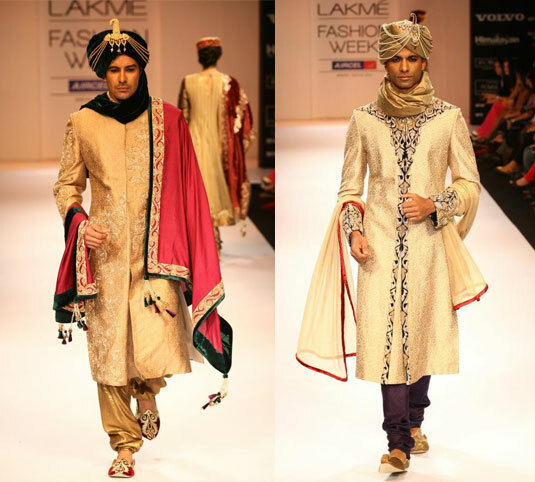 Amongst some traditional indian style outfits, Fronter Raas also showcased some red carpet-worthy evening gowns. 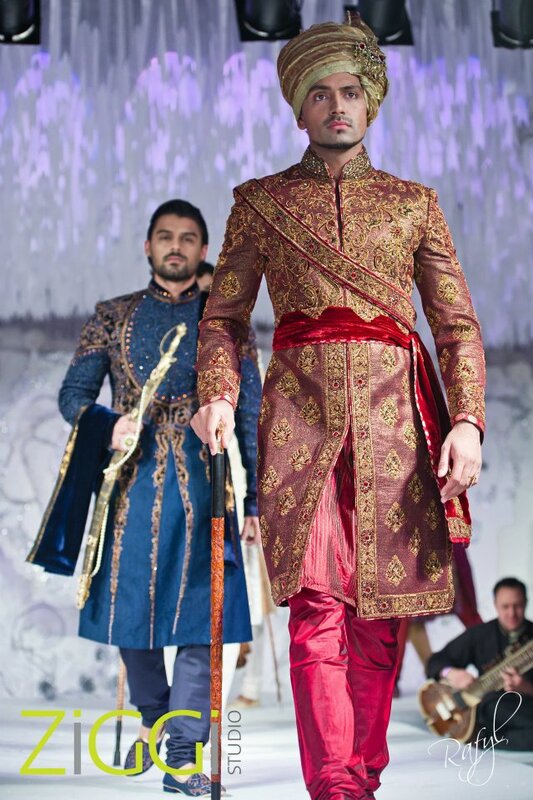 Two of Birmingham's fashion boutiques teamed up for the next part of the show, with Ziggi Studio providing the menswear and Harkirans providing the ladieswear. 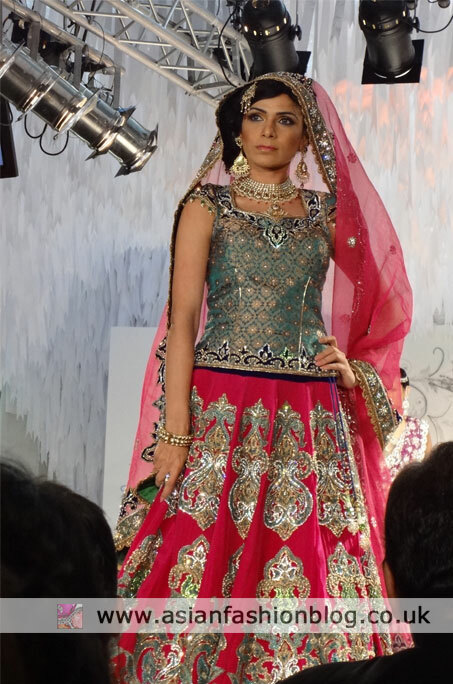 Mongas had the honour of dressing the show host Anuska Arora as well as having Rishi Rich and wife Manrina as part of their showcase. 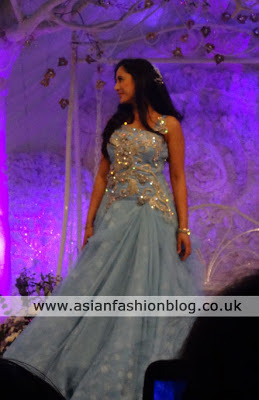 Here's Manrina in the blue, followed by another interesting outfit from the Mongas collection - what do you think of the skirt style? If you're an Asian bride on a budget then this Asian bridal pop-up shop taking place in Bradford next weekend (2nd and 3rd February) will be of interest! 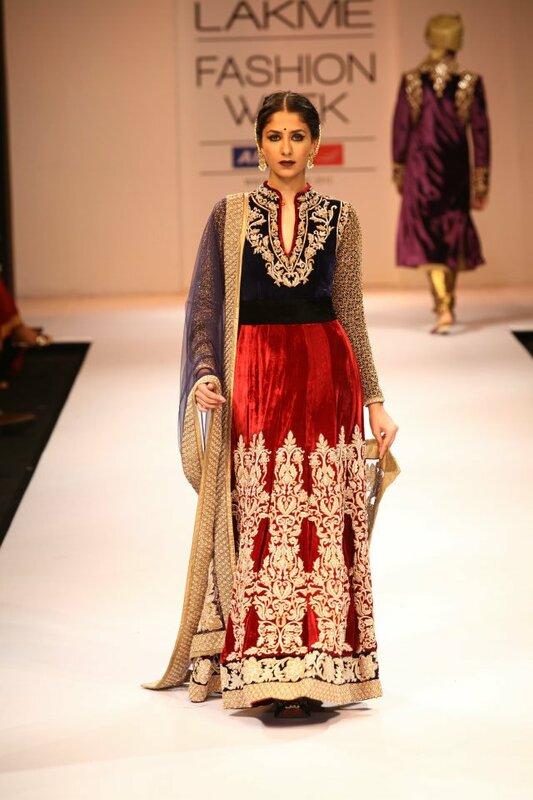 The two day event is a chance to buy ex-display and one off specially designed sample pieces from leading Indian fashion houses. 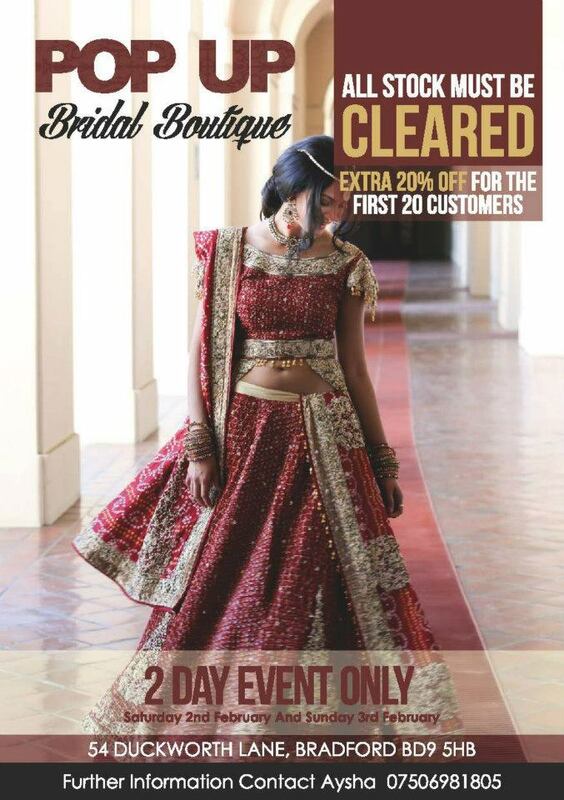 Prices start from just £200 and the first 20 customers will get an extra 20% off. For more information on the event check out their facebook event page. 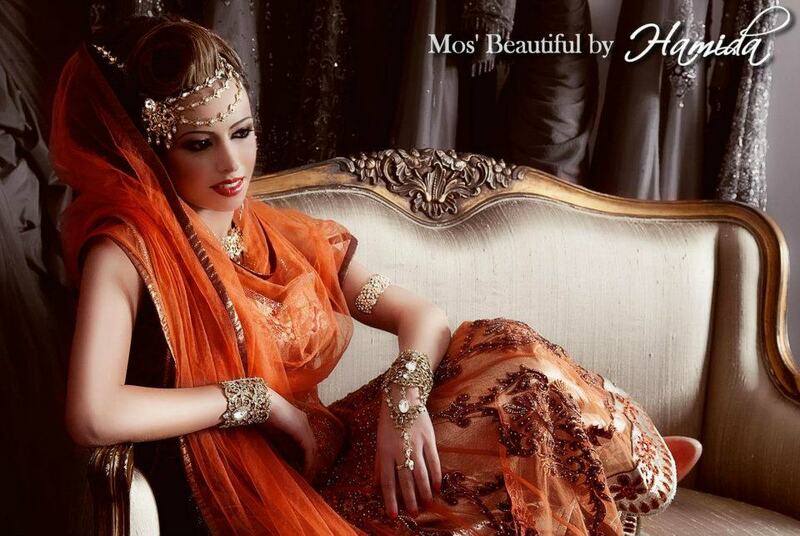 Yesterday I came across this preview this new asian bride magazine "Khush Wedding". There isn't much information on when and where the magazine will be available, but their front cover is certainly striking and with the promise of "290+ bridal dresses" I'll definitely be picking up a copy! 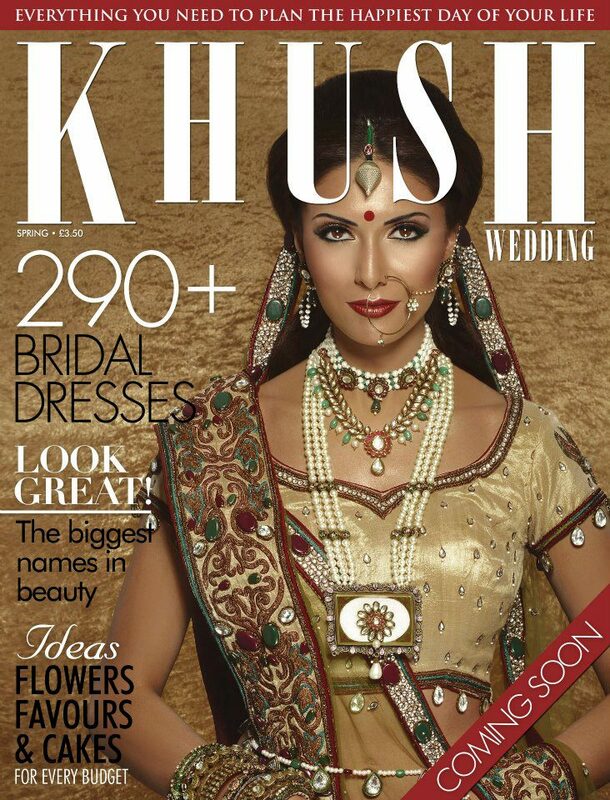 What do you think of the mag cover? 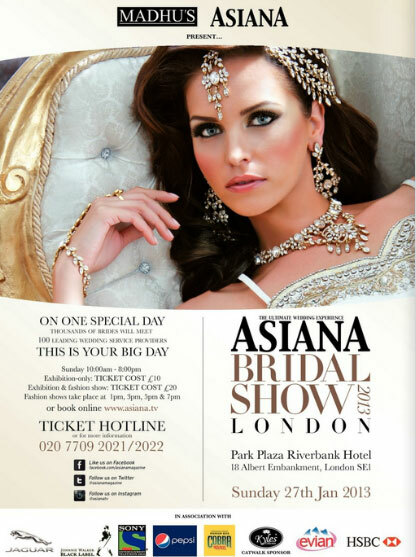 "The magazine is predominantly a platform for the wedding industry, showcasing all the latest collection in fashion, key bridal looks & makeup, catering, venues and all other wedding essentials." 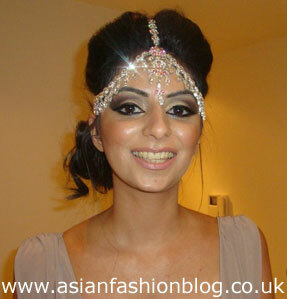 I love hair accessories for asian weddings, and for many asian brides a matha patti (or shingar patti) is their accessory of choice. 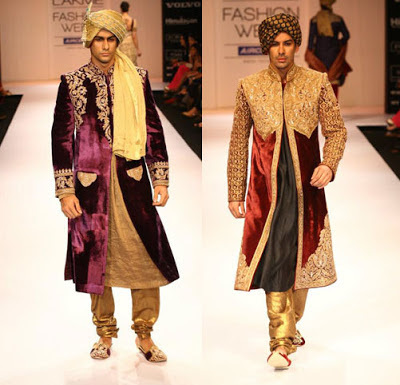 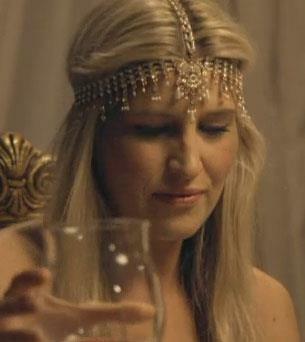 I'm also starting to see guests wearing them at weddings too. 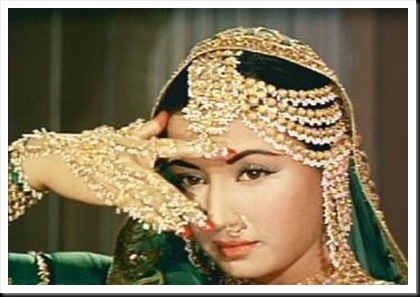 Here's some inspiration to help you decide what type of matha patti to choose and how to style your hair with it! 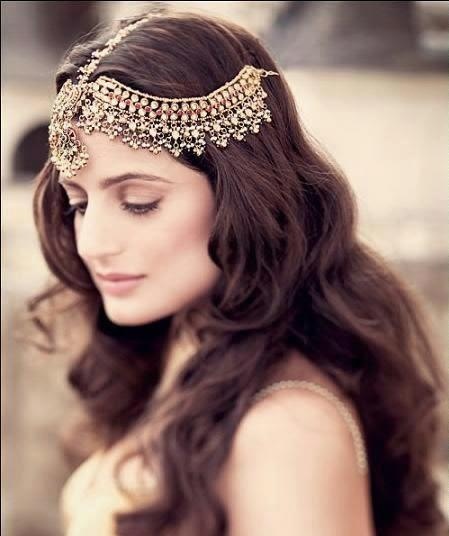 As most brides opt for an up-do on their big day, the most common bridal look for a matha patti is to have all your hair up. 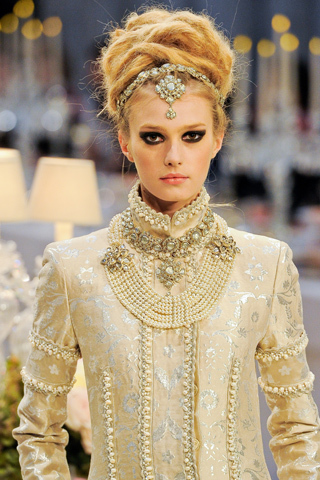 This look is from the runway at the Chanel Pre Fall 2012 show. Here are some more modern ways to wear this style of matha patti. 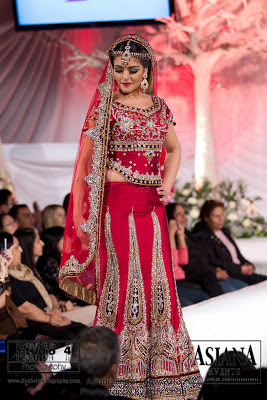 And finally...here's a pic of me wearing my bridal matha patti, post-wedding, to a themed party, my hair and make-up on this occassion was from Make up by Mus. I've only re-worn it the once since my wedding, but after writing this blog post I've been inspired to try a new look for my next special occassion! 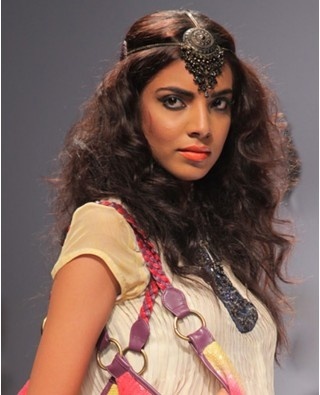 Check out my pinterest board for more matha patti hairstyles and looks.